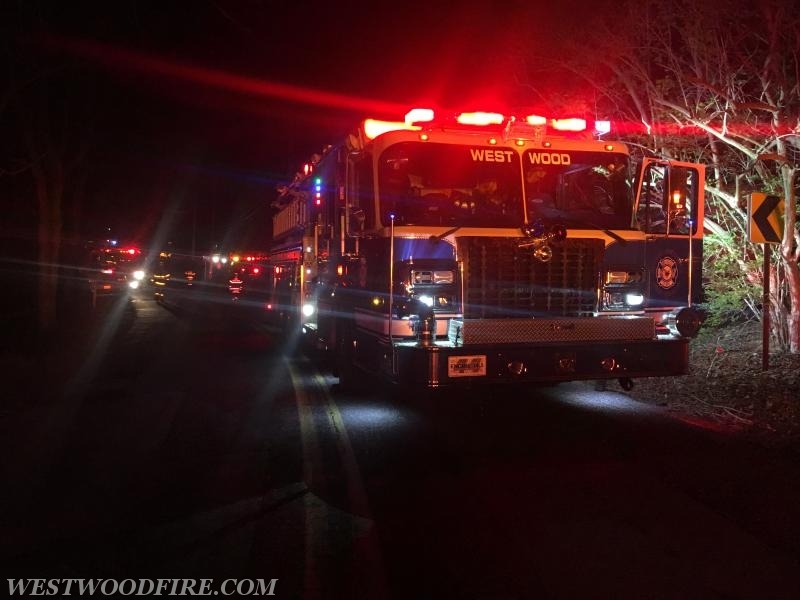 In the morning of Saturday April 21st, 2018 at 0405 the Westwood Fire Company was dispatched for a barn fire in the 900 block of South Caln Road assisting the Modena Fire Company. Initially area fire departments were dispatched for a barn fire, upon arrival it was confirmed a working barn fire and a first alarm tanker task force was requested summoning Engine 44-5. Engine 44-5 arrived at 0422 with 4 personnel and entered the manpower pool. The water from Engine 44-5 was not needed as the operation was running off of nearby fire hydrants. Units operated on the scene for 1 hour and 15 minutes before being released by command. 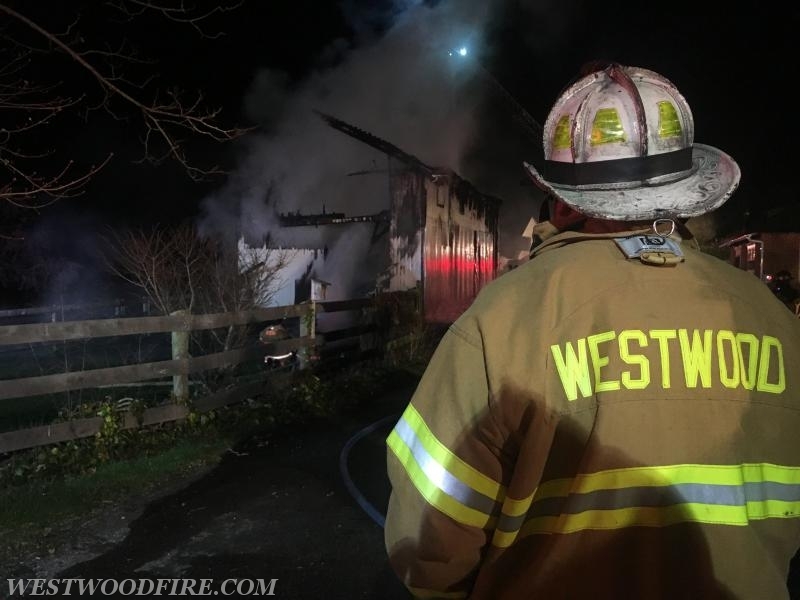 A barn was fully engulfed in flames on South Caln Road in East Fallowfield Township. Engine 44-5 lined up on South Caln Road.